US President Barack Obama has accused allies of "racing to the bottom" with their taxation policies in the wake of the Apple tax ruling against Ireland. 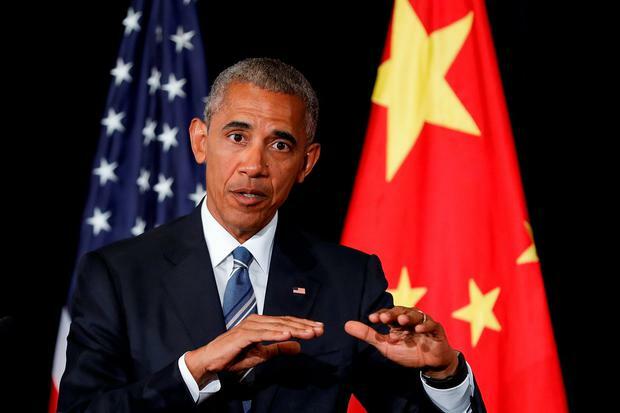 At the G20 summit in China, President Obama said he had raised tax avoidance with the world's 20 biggest economies. The US President's comments come just a week after the €13bn tax ruling by the European Commission. Although he didn't name Ireland, President Obama said some of the US's "closest allies" were embarking on a race to the bottom in terms of tax policies, leading to revenue shifting and tax avoidance in the US. And without naming the EU or the technology giant, he said there are risks when decisions regarding tax avoidance are taken unilaterally as it may impact on the ability to collect taxes. "In the same way, we then have to do some coordination with even some of our closest allies racing to the bottom in terms of how they enforce their tax policies in ways that lead to revenue shifting and tax avoidance in our country," he said. Meanwhile, a poll for RTÉ's 'Claire Byrne Live' reveals over three in five say the Government is right to appeal the Apple ruling.